The Source of Origin of Iberico Ham (DOP-Protected Sources of Origin) were formed in 1992 with the objective of ensuring the highest quality of Iberico products offered in the market, thereby protecting those manufacturers who are recognized for their prestigious product compared to other brands who do not comply with the DOP requirements of manufacturing. And by protecting the consumer by guaranteeing that the product purchased is of the highest quality and manufactured with a series of characteristics making it a unique product. 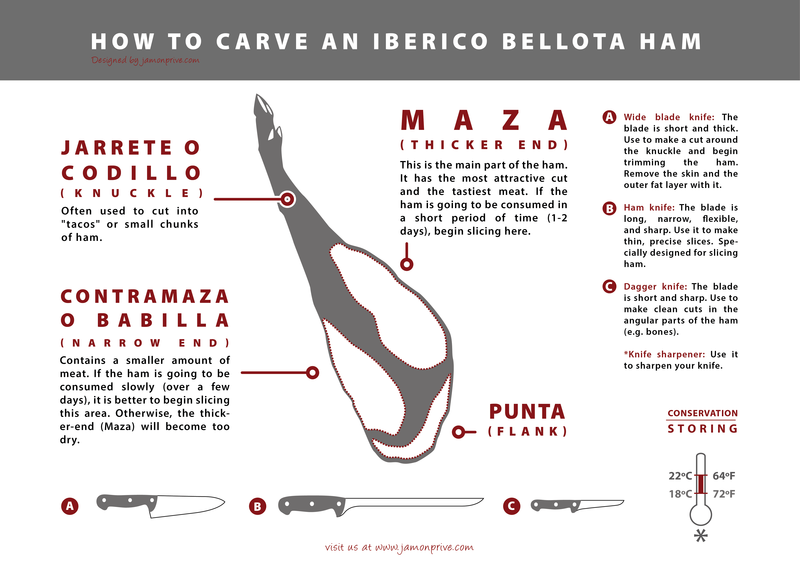 As we have seen, there are several factors that determine the degree of quality of an Iberico ham. The genetic disposition of the pigs to gain fat, the nutrition received during its fattening period and the method of processing are among the most important. The Dehesa has played an important role in the nourishment and allowed the best genetic breeding of Iberico pigs for centuries. 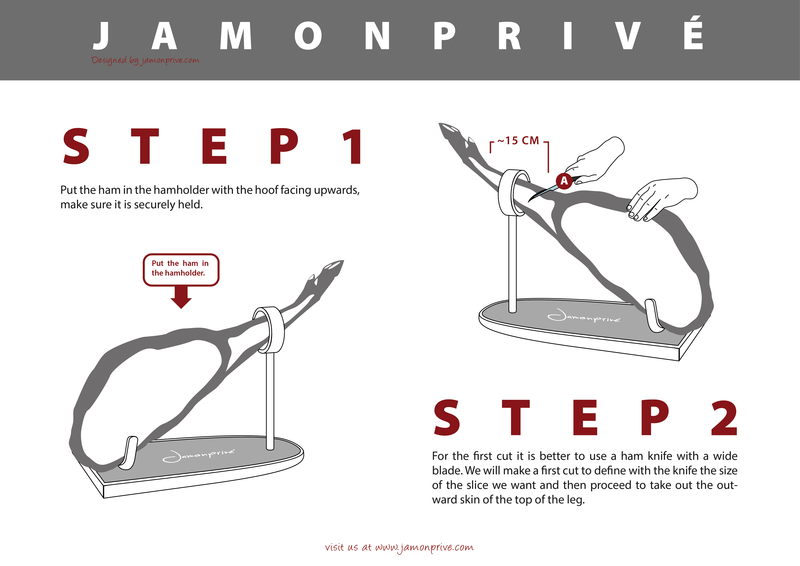 The ham should come from a pig with at least 50% Iberico genes, nutrition should adhere to grain, grain and pasture, or acorns, and should follow strict guidelines of butchering according to hygiene and safety standards. All this translates into a final product with unique organoleptic properties. The source of origin in the Iberico ham (DOP) serves to give an added value to this product through transparency. This means that you can be sure with 100% guarantee the product has been produced in regulated Dehesa zones and prepared in accordance with unique traditional processes based on local knowledge put into practice. For this reason when referring to sources of origin it is in fact a protected geographic region. Thus we can see that sources of origin of Iberico ham serve in two areas. First, it protects geographical areas where these products are produced and are the main source of economic revenue for the regions. Second, it protects the consumer from fraud and misleading advertising, and prevents the use of certain labels used to identify products that do not comply with the requirements. In regards to Iberico ham in Spain, four regulated sources of origin exist, which correspond to certain regions where Iberico ham production has been long and successful. DOP Los Pedroches: Only applicable to the Spanish hams from Iberico pigs which comply with strict regulations related to the type of animal, the nutrition received and the process of development. These pigs are reared on meadows found in the Sierra de Los Pedroches, which is made up of a climate very similar in the region north of Cordoba. On the other hand, the production is restricted to 32 municipalities located in this area. The hams Los Pedroches are known to be the less fibrous and has a brigh pink color and it is known for the juiciness of the meat. DOP Dehesa de Extremadura: The rules of quality of Iberico ham also apply here. A minimum of 50% of Iberico genes and a fattening diet made up of grass. This is regularly taken place in the Dehesa between Cáceres and Badajoz. The DOP includes 45 municipalities in the province of Cáceres and 40 municipalities in the region of the Gredos mountains, Ibor-Villuercas, Sierra de Montánche y Sierra de San Pedro. These Spanish hams are know of their salt content and for having a pink and juicy meat, with an aroma and flavor that differentiate it from others. DOP Huelva: Just as the previous DOP Huelva is held to the same standards, limiting the issuance of certificates of quality to products of Iberico pigs raised and fattened in the Dehesa of Huelva, Sevilla, Cadiz, Cáceres, Badajós, Malaga and Cordoba and producers from 31 municipalities from the regions of the Sierra in Huelva. An Iberico ham from Huelva can be recognized due to its elongated profile and gray color on the sides, however the meat is bright pink. It is highly valued for its scent and flavor. DOP Guijuelo: Just as the previous, the pigs from this region must be raised and fattened in the meadows of Salamanca, Toledo, Avila, Segovia, Zamora, Badajoz, Cáceres, Sevilla, Huelva and Cordoba. Regarding production only 77 municipalities of Guijuelo (Salamanca) have permission to get the certificate of quality, therefore, its production is done exclusively by them. Guijuelo ham is salty and a bit sweet. The meat is pink, and the fat is gold in color. The flavor is intense and its aroma is a result of a long and through curing process.